WHAT DOES THE YIELD CURVE TELL US ABOUT FUTURE ECONOMIC CONDITIONS? 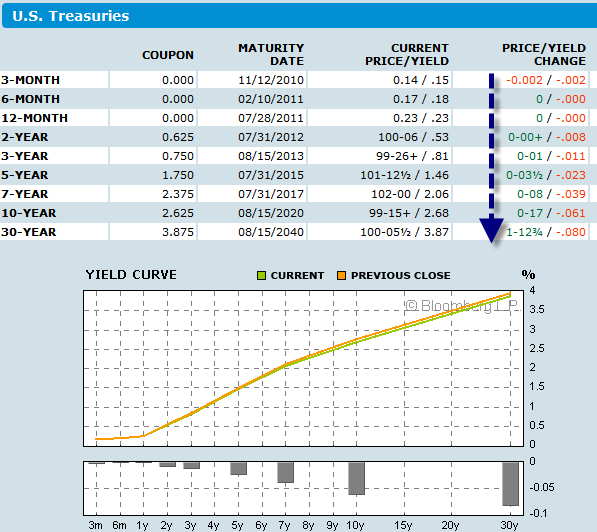 Pragcap asks: "WHAT DOES THE YIELD CURVE TELL US ABOUT FUTURE ECONOMIC CONDITIONS?" 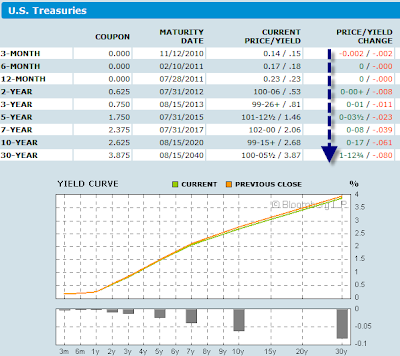 There are few indicators more prescient than the yield curve. Over the years the curve has successfully predicted all but two post WW2 recessions. In the last 40 years it is 7 for 7 in predicting recessions. 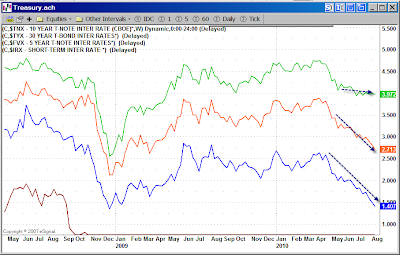 A negative yield curve is generally consistent with a Federal Reserve that is attempting to cool the economy. Clearly, they have a tendency to overshoot. But meager growth is better than no growth. At current levels the probability of recession is virtually 0%. Unfortunately, low growth means this is going to continue feeling like a recession for a large portion of the country. And in a balance sheet recession the usual Fed toolbox of altering interest rates is unlikely to have the usual stimulative impact. ECRI Weekly Leading Indicators at Negative 9.8; Has the ECRI Blown Yet Another Recession Call? Inquiring minds have been watching the ECRI’s weekly leading index plunge nonstop since October of 2009. Moreover the WLI has been in negative territory for 6 consecutive weeks. Is that a recession call by the ECRI? 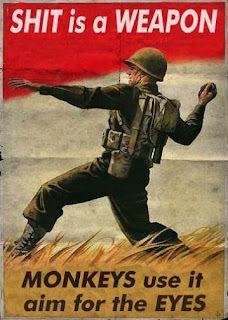 Absolutely not, at least as of June 14, according to Lakshman Achuthan managing director of ECRI who blasted the Wall Street Journal for misleading reporting. 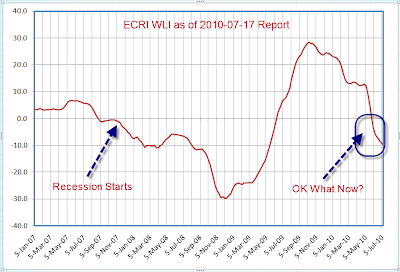 The Business Insider discusses the situation in Why Last Week’s Collapsing ECRI Leading Indicator WASN’T A Recession Signal. Following the Business Insider link back one step takes us to Jeff Miller’s "A Dash of Insight" Weighing the Week Ahead: Negativity Prevails where I see that I was cited along with the Wall Street Journal, Zero Hedge, the Pragmatic Capitalist, and the Financial Times for incorrect intrepretation of the WLI. 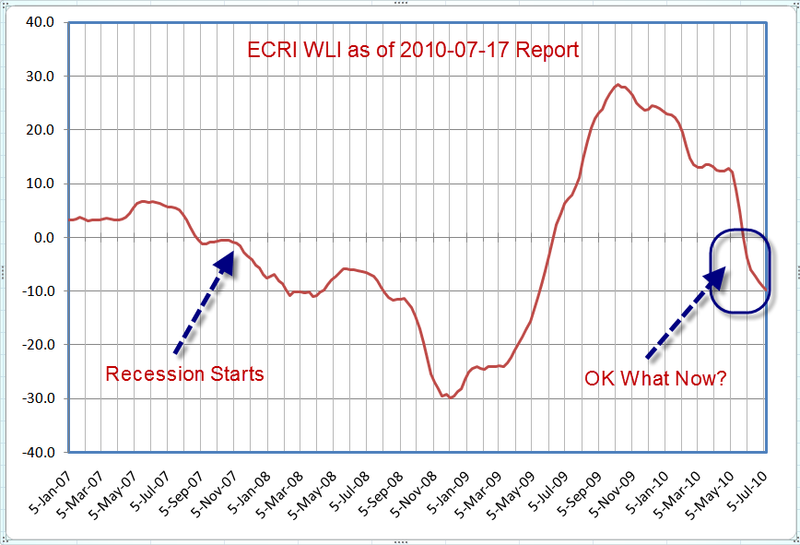 Since ECRI itself has never used WLI growth going negative as a recession signal, it is important that such “false alarms” are attributed not to ECRI or even to the WLI, but to what is a mistaken interpretation of the WLI. 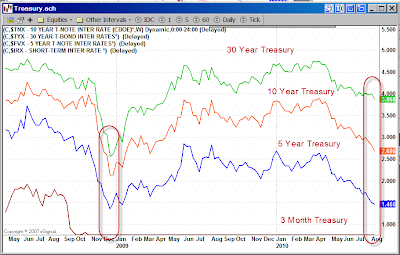 Are we “Trending Towards Deflation” or in It? 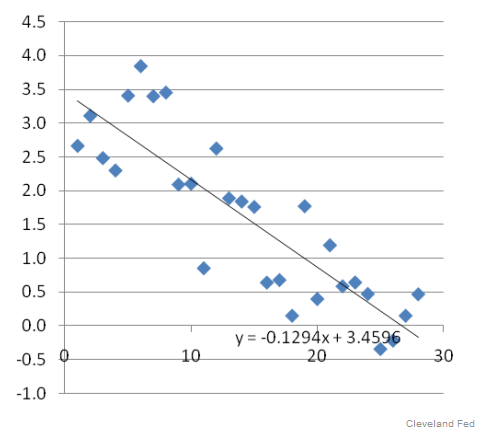 There is a second chart and further discussion in Krugman’s article. 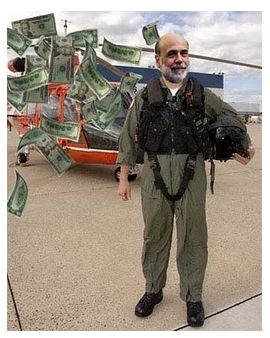 The article Krugman referred to is The Rising Threat of Deflation. Here are a few snips highlighting Makin’s and Krugman’s concern over prices. So, very slow growth, but no double dip. Of course, this is all assuming the recession actually ended which I think is absolute nonsense. This is and remains a consumer driven balance sheet recession. The reason policymakers have failed to solve the problems on Main Street is because they have failed to properly diagnose this as a problem rooted on Main Street. Taking the growth rate of the WLI as a single indicator, the only instance when a level of -6.9% was not associated with an actual recession was a single observation in 1988. 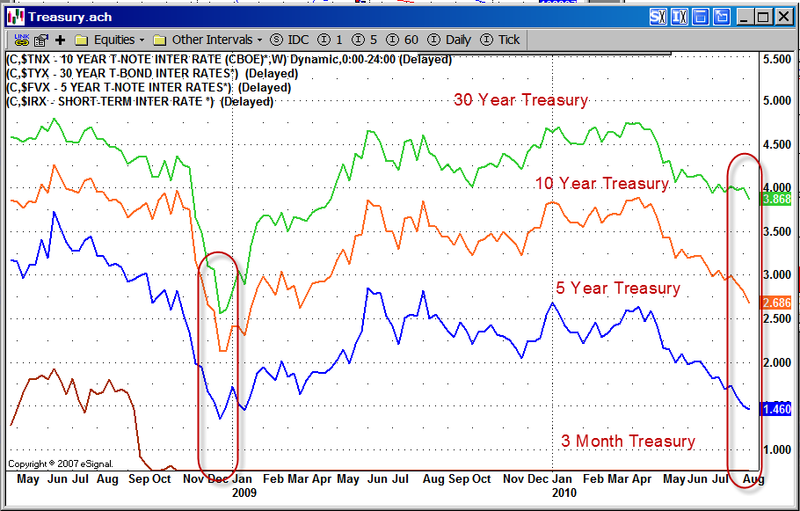 But as I’ve long noted, recession evidence is best taken as a syndrome of multiple conditions, including the behavior of the yield curve, credit spreads, stock prices, and employment growth. Given that the WLI growth rate leads the PMI by about 13 weeks, I substituted the WLI growth rate for the PMI criterion in condition 4 of our recession warning composite. As you can see, the results are nearly identical, and not surprisingly, are slightly more timely than using the PMI. The blue line indicates recession warning signals from the composite of indicators, while the red blocks indicate official U.S. recessions as identified by the National Bureau of Economic Research.